The Creation Autosportif team packed up at Donington Park on Thursday and headed to Silverstone on Friday - for the second day's action for the team's new hybrid car. 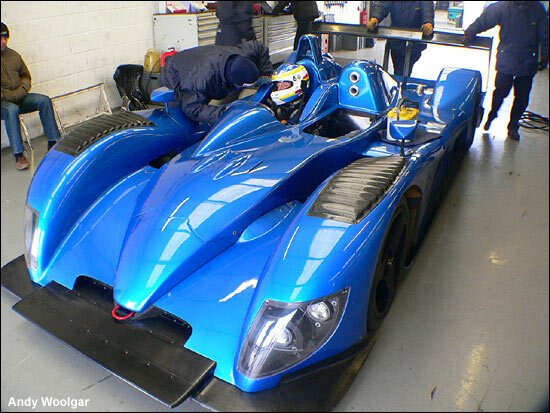 Incidentally this is the CA06/H - and the 001 is the chassis number (thanks Kieron Salter). 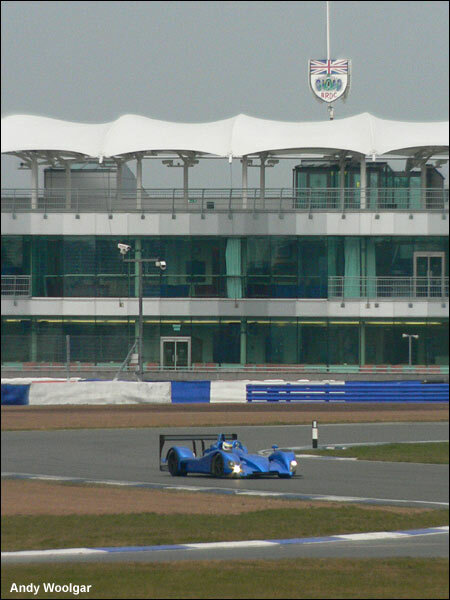 Andy Woolgar comments that it was bitterly cold at Silverstone, but the car clocked up over 50 laps troublefree. Nic Minassian, Felipe Ortiz, Beppe Gabbiani and Jamie Campbell-Walter all took turns behind the wheel.